This delicious round butterscotch cake weighs half kg, and is an appropriate gift for any blissful occasion. You can also choose an eggless base. 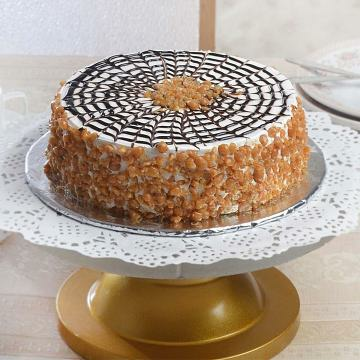 It is covered with lots of whipped cream, and decorated with crunchy butterscotch chips. 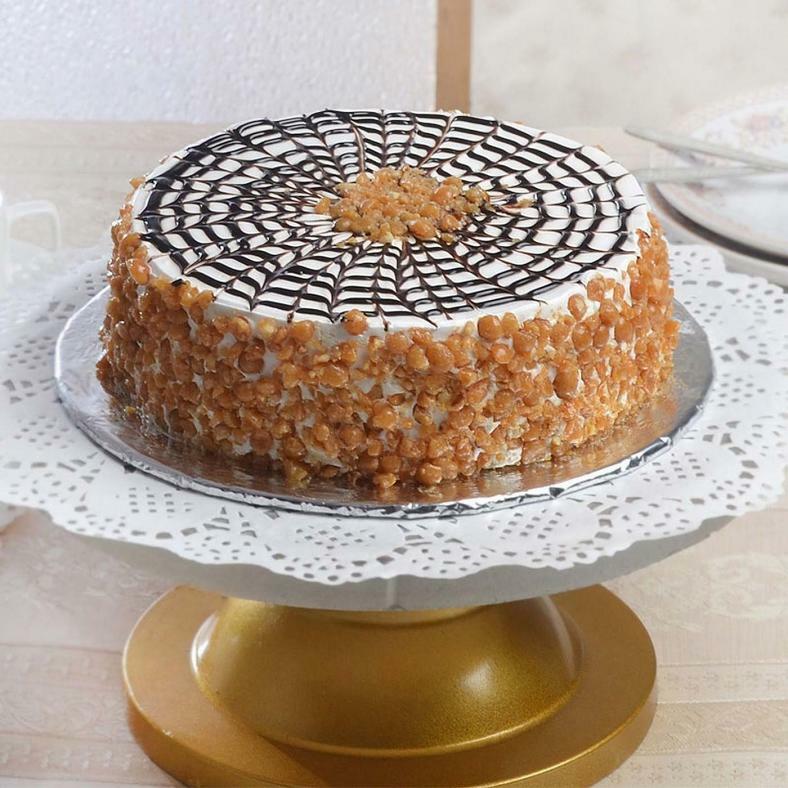 Buy Delicious Round Butterscotch Cake (Half Kg), sold & shipped by IGP India where you can shop online for Send Cakes, Flowers & Gifts to India - Anytime/Anywhere. This Chocolates & Cakes collection has been tagged as express gift to india, birthday, anniversary, valentine day, mothers day, fathers day, send gift from usa.